Expected as a turning point after five years of political turmoil, the 2018 Brazilian presidential election is heading into ever-increasing uncertainties as to who will win and how she or he will govern. Since the 1990s, strong presidential powers and electoral rules favoring political polarization between large interparty alliances has turned the presidential competition into a structuring vector of the whole political system. Therefore, two presidentialized parties, PSDB and PT, have become the major forces alternating in power, blocking outsiders and newcomers to send themselves to the presidential contest. This bipolarization has made government policy offers more moderate and the Brazilian politics, centripetal. At this time, however, it seems to be challenged in an unprecedented way, and the competition is so far, very uncertain. The success of coalitional presidentialism has been eroding after two decades of relative stability. Political dissatisfaction has been skyrocketing since the massive street riots in 2013, driving down even more the low levels of institutional confidence in Congress and parties and, recently, citizens’ support for the democratic regime is endangered. Corruption scandals and economic depression tempered the polarized reelection of President Rousseff (PT), in 2014, culminating in her impeachment two years afterward. The initial success of the new government, headed by vice-president Temer, vanished quickly when corruption scandals also reached him and his inner circle. In general, political parties have been strongly hurt and episodic institutional conflicts emerged since party and legislative leaders started to be investigated and arrested, sometimes with the suspension of parliamentary prerogatives of office-holders under investigation. Generalized feelings that these wrongdoings are systemic has been fueling anti-establishment appeals and a strong pressure for political renovation. Political polarization feeds tension between democratic and authoritarian values, with a significant part of the population appealing for military intervention as a means to solve the political and economic crisis. On recent times, episodes of political violence have happened, such as the killing of Rio de Janeiro councilwomen Marielle Franco (PSOL) and her driver, and the incident in which shots were fired at Lula’s caravan, both in March this year. Under this political nightmare, will mainstream political parties be able to coordinate this electoral process towards a new equilibrium? For the first time since 1994, the highly unpopular sitting president has been politically ignored of negotiations of electoral alliances, despite his party, the PMDB, being one of the key actors. The most important left-wing leader and potential candidate, former president Lula (PT), was pushed out due his conviction for money laundry and gang formation, resulting in his arrestment few months before the nomination season. The involvement of leaders of large parties in corruption trials resulted in reputational losses and considerably reduced electability of their potential candidates. This increased, in the eyes of other parties, the cost of joining hands with them. In addition, reforms barring campaign funding from private companies increased the opportunities for self-funded candidates. Overall, these conditions have turned this into an ever more open-seat presidential election, raising the incentives for not-yet presidentialized parties and outsiders. Given this political landscape, 2018 presidential race has been compared to 1989, the only time when a non-mainstream party won the presidency. Indeed, one of the surprises of this race has been the emergence of a competitive, far-right candidate, Jair Bolsonaro (PSL), whose discourse is centered on an anti-corruption, moralization of politics and law-and-order approach. Bolsonaro has been leading the polls since the beginning, in a scenario without former president Lula, oscillating around 20% of vote preferences. He can be considered an “inside-outsider” since has been serving as representative for seven mandates despite his anti-establishment appeals. Although usually compared to Trump, Bolsonaro does not count on a robust party organization sponsoring him. His motto is to “change everything that is in place”, and his brand gesture is the simulation of warm guns with his hands. One of his proposals is to turn the gun regulation more liberalized in Brazil, and he has previously openly defended the military dictatorship. He surfs on the waves of backlash against progressive socio-cultural values and strong anti-system sentiment. Electoral rules have, however, moderated centrifugal trends in the first stage of this election, the nomination season, closed at the end of July. Under runoff and concurrent elections, in a scenario of reduced campaign funding, established parties sought more conventional alliances. On the center-right, a large alliance among center and right-wing parties, headed by PSDB candidate, Alckmin, was formed to broaden its public funding and free publicity on TV. It inhibited medium and small parties from allying with the “inside-outsider” candidate, Bolsonaro, despite his high-polling position. Furthermore, newcomers, two millionaire businesspeople, are also getting access to the ballot. On the left, the PT worked to block an alternative alliance of center-left parties, since it is working to judicially reverse Lula’s expected ineligibility and keep its pivotal position on its side of the ideological spectrum. This resulted in more fragmentation on the center-left, with the nomination of Marina Silva (Rede) and Ciro Gomes (PDT), two competitive candidates challenging PT dominance. At the end, the presidentialized parties, PT and PSDB, were constrained to build different alliances from when they had won the election and 13 candidates are running for presidency. However, the nomination process has shown more predictable alliance strategies than expected. Campaigning officially started on August 16th, and the advertising on traditional media took off on the 31st. Television and radio remain the most important sources of information for voters during the campaign, in the shortest period for presidential campaigning in recent decades. Nevertheless, candidates seeking their “campaign momentum” and putting themselves as front-runners are facing more uncertainties that they expected. First, although most candidates had already been nominated by the end of July, the dispute has been largely undefined since PT kept Lula as its candidate, holding on a strategy that insists on him being a victim of major injustice, until the very last minute. It was expected that Lula would be declared ineligible by the Superior Electoral Court (TSE), due the Clean Record Act (“Ficha Limpa”), which forbids the candidacy of anyone who has been convicted by a decision of a collective body. However, PT called on the international community, having received support from famous left-wing leaders worldwide, and a request by the United Nations Human Rights’ Committee not to prevent the former president from standing for the election, until his appeals before the courts have been completed. As expected, the TSE declared Lula ineligible and established September 11th as the deadline for PT to present an alternative candidate. After having run out of appeals, the former mayor of Sao Paulo, Fernando Haddad, was nominated as PT candidate only 26 days before the first round of voting. Whereas Lula’s incomparable popularity seems capable of transferring some support for his designated candidate, this campaign is shorter than previous ones and relative unknown Haddad was nominated late. The underperforming government of the impeached president Rousseff, who was also chose by him, will shadow PT’s attempts to sell Haddad as someone able to rescue the success of Lula’s administrations. Despite PT simply omits Rousseff’s administrations from its announcements, the left-wing challengers are already recalling her failures and promising do better in pushing progressive agendas for attracting non-conservative voters. Second, an unprecedented event shacked the campaign considerably. The far-right candidate Bolsonaro was stabbed on September 6th, during a rally by a person who alleged political motivation against the candidate’s positions towards minorities, but the act seems to be organized only by himself. A shocking event also happened in 2014, when the third-place on polls Eduardo Campos (PSB), died in a plane crash. This incident had a considerable impact on voters’ preferences for his running mate, Marina Silva, who replaced him and reaching more than 30% of vote intentions on the same point of the presidential campaign in 2014. However, this thread coming from a third-party candidate did not last, after an intense negative campaign from PT candidate. At the end voters turned back to what they see as the most credible options, and the PT-PSDB clash happened for the sixth time. By its turn, the outrage against Bolsonaro raised an expectation of larger impact than in 2014, since he was seen as victim of political violence and intolerance. However, polls have showed that the commotion was limited, while the resistance to vote for the radical and anti-system candidate remains high among voters. The impact of this violence on his campaign is uncertain, but it can reduce the voter mobilization in this last stage of campaign. Bolsonaro is hospitalized and blocked from conducting his personalized campaigns on the streets. Absent from media debates and backed by a less professional campaign staff, his attempt to resort to a massive Internet strategy may be insufficient to expand his appeals towards more heterogeneous audience or, even, keep his current supporters. These close events, the expected replacement of PT candidate and the unforeseen Bolsonaro’s stabbing, have forced all presidential candidates to change their strategies. While the second round is likely to show the confrontation between right-wing and left-wing candidates, it is unclear how far these candidates are from the center and whether escalation of polarization can occur. Bolsonaro remains stable as front-runner, radicalizing the anti-PT sentiment. As the candidate with the highest rejection rate and facing a remarkable gender gap in voters’ preferences (30% of male and 14% of women), his odds to win the election are unlikely by now. Polls show that is likely to lose for any other candidate of both ideological poles. Other four competitive candidates linger very close in the dispute for the second place, center-right (Alckmin) and three center-left candidates (Ciro, Marina, and Haddad). Since 1994, this is the first time that a front-runner is an “inside-outsider”, coming from an inexpressive political party. As it happened in previous presidential disputes, there are some tensions challenging the prior bipolar dynamic. However, this time the menace of a third-party breaking the status quo is relatively stronger. Usually the challenger comes from within the system, such as in 1998, 2002, 2010 and 2014. A certain level of “insiderness” has been required to gather sufficient strengths in order to disturb the centrifugal dynamic induced by institutions and electoral rules. Even when a convincing challenger emerged with more confidence, voters have hesitated to stick with an alternative at the last minute. Polls on 2014 presidential election showed that voters’ first-round decision was only consolidated on the last 10 days before election day. In its turn, this uncertainty scenario, marked by high fragmentation of candidate supply, particularly on the left, the number of undecided voters remains high and swing vote tend to be a decisive factor. At this point of the campaign, who will benefit of this is still an incognita. Magna Inácio is an associate professor in the Department of the Political Science at the Universidade Federal de Minas Gerais, in Brazil. She is currently carrying out research on presidents and presidencies with focus on multiparty cabinets, executive–legislative relations and internal organization of the Executive branch. Her research interests include coalition governments, the institutional presidency, and parliamentary elites in Brazil and Latin America. Aline Burni is a researcher for the Center for Legislative Studies at the Federal University of Minas Gerais (Brazil), where she is a PhD candidate in Political Science. She was a Fulbright grantee at New York University, and previously served as International Advisor for the Minas Gerais state government. Her research interests are comparative and European Politics, Electoral Studies, Political Parties and Radical Right-wing Populism. This entry was posted in Brazil, Latin America and tagged Brazil, presidential election on September 14, 2018 by Robert Elgie. The literature on presidential coattails has, until now, focused mainly on the role played by presidential elections in shaping national legislative races. Comparative research has demonstrated that in the presence of a sufficiently low number of candidates running for president, concurrent presidential and lower chamber elections deflate the national party system. Presidentialism, however, is often associated with federal institutions, which should complicate party aggregation by introducing the issue of vertical integration. In a recent paper (Borges and Lloyd, 2016), we argue that the coattails effect may operate not only “horizontally,” by shaping national legislative elections, but also “vertically,” by shaping elections held at lower levels of government. All else being equal, concurrent national (presidential) and subnational (gubernatorial) elections will foster coordination because parties and voters are aware that the presidency is the most important electoral prize in a presidential regime. No candidate for subnational executive office receives as much media attention or as many campaign contributions as the top presidential contenders do. Voters also recognize the overwhelming importance of the presidency in comparison to other political offices in presidential regimes, and they typically pay more attention to presidential candidates than those running for other offices (Golder, 2006). Our central claim is that the congruence between national and subnational elections increases when elections are temporally proximate and the effective number of presidential candidates is sufficiently low. On the one hand, parties running for president have strong incentives to coordinate strategies between national and subnational electoral arenas because they are required to mobilize a national majority of the vote to win, which in turn requires coordination with local candidates. On the other hand, parties that lack viable presidential candidates will respond strategically to the deflation of the presidential party system by coalescing around one of the major presidential contenders because supporting third candidates (or not participating in the presidential election) may cost them votes in subnational races. As coordination efforts are repeated over time and national party divisions are successfully reproduced at the subnational level, voters should respond accordingly and make congruent choices in national and regional elections. This is especially true because party coordination provides an external cue for voters in subnational elections. Given that voting is an information- and time-intensive activity, voters are likely to rely on national policies and national party dynamics as a cognitive heuristic for making decisions about subnational elections (Rodden and Wibbels, 2011). Our second hypothesis is ,therefore, that a presidential coattails effect should exist at the individual-voter level when coordination is effective and leads to vertical party linkage. We evaluate these hypotheses using district-level data from Brazilian gubernatorial and presidential elections from 1945 to 2010. We complement our time-series cross-sectional (TSCS) analysis by running a series of logit regressions on survey data in order to assess the effects of presidential coattails on Brazilian gubernatorial elections. Our logit regressions use surveys from two electoral periods that were characterized by distinct levels of presidential party fragmentation: 2002 and 2010. Brazil is an ideal case study for analyzing the effects of presidential elections and federalism on party linkage between levels of government because rules governing presidential and gubernatorial elections were changed relatively recently. From 1945 to 1962, presidential and gubernatorial elections concurred on only a few occasions, and not in all states. Lower-chamber elections concurred at the same time as presidential elections in 1945 and 1950, but not for the two elections immediately afterwards (1955 and 1960). In contrast, all elections to national and state-level posts have occurred concurrently since 1994, thereby greatly increasing the stakes of the presidential race. Given that the major traits of Brazil’s political system (presidentialism, federalism, electoral system and legislation on political parties) have mostly remained constant across these two periods, Brazil’s case allows us to test our first hypothesis with a quasi-experimental design. Our empirical findings indicate that concurrent elections have a negative effect on dissimilarity as long as the effective number of presidential candidates is sufficiently low. Party system incongruence does decrease when presidential and gubernatorial elections concur, but this effect disappears as fragmentation of the presidential vote at the district level surpasses 2.6. These results are fully independent from subnational dynamics. Previous work on Brazil claimed that reverse coattails exert a substantial impact on the presidential vote, as presidential candidates depend on the support of state party leaders and their political machines (Samuels, 2003). If this hypothesis were correct, we would expect to see low dissimilarity whenever the main contenders in the presidential race count on the endorsement of subnational party organizations. To control for such effects, we created a dummy variable that indicates whether or not the incumbent governor’s party was a member of either one of the two largest coalitions disputing the presidential race. As a proxy for incumbent parties’ strength at the state level, we included a measure of terms completed in gubernatorial office. Overall, although subnational party dynamics does have an impact on dissimilarity – the presence of a coalition incumbent governor does decrease dissimilarity, especially for mean levels of continuity in office – this effect pales in comparison with effect of concurrent races. Our logit analysis of survey data on the 2002 and 2010 elections was supportive of our second hypothesis. Multilevel electoral coordination between parties does indeed seem to be reinforced and reflected in individual-level data, as we find evidence that presidential evaluations have significant effects on the probability that one will vote for that the gubernatorial candidate of the presidential candidate’s coalition. In other words, presidential coattails voting exists at the level of the individual voter in gubernatorial elections. To ensure that our estimates did not suffer from simultaneity bias because of the possible effects of a reverse coattails effect, we ran several tests. First, we used a bivariate probit model with the same control variables as our normal model, specifying it with the presidential and gubernatorial votes as our joint dependent variables. This specification allowed us to account for a possible correlation between the presidential and gubernatorial votes by not assuming that errors in the two equations were uncorrelated. Even accounting for this potential correlation, the presidential evaluation had a strong, significant effect on the gubernatorial vote for both the Workers’ Party (PT) and the PSDB (Brazilian Social Democratic Party). Second, we ran a logit model using our individual survey data with votes in second-round gubernatorial elections in 2002 and 2010 as our dependent variable. The advantage of this latter specification is that it allows for the inclusion of controls for voters’ preferences in the gubernatorial election (the first-round vote for governor) that are not simultaneous with the (second-round) vote for president. In the presence of reverse coattails, presidential evaluations would be strongly correlated with the first-round gubernatorial vote and would therefore contribute little to the explanation of the second-round vote for both president and governor. This, however, is not the case: our models show that the first-round vote and presidential evaluations both have significant effects, suggesting that the coattails effect existed even with these controls. Interestingly, we found that the coattails effect was stronger for PT candidates than for PSDB candidates, which is consistent with our hypothesis. Because the Workers’ Party coordinated its national and regional strategies more effectively, this induced greater congruence in voters’ choices. The PT’s presidential candidate, for instance, faced no internal resistance in either 2002 or 2010, whereas the PSDB dealt with internal leadership disputes in both years. It is therefore plausible that fractiousness in the PSDB led to less effective coordination in 2002 and 2010 in comparison to the PT. Furthermore, these differences cannot be attributed to higher levels of partisanship among PT supporters, as both models control for party identification. The article presents important contributions for two distinct literatures. First, we develop a novel set of hypotheses building on the literature on vote congruence and second-order elections, that had previously focused almost solely on parliamentary countries. We demonstrate that multilevel electoral coordination in presidential systems has some important peculiarities that had not yet been incorporated into theoretical models. Second, we contribute for research on presidential elections and party systems, by incorporating issues of vertical party linkage and multilevel electoral coordination into the analysis. Our empirical findings indicate that the choice of electoral rules for electing presidents and governors is key for building effective federal institutions, as long as it may have a relevant impact on the degree of party integration. When parties and party systems are poorly integrated policy coordination across levels of government will be harder to achieve. Although we do not claim that concurrent elections have produced an integrated, nationalized party system in Brazil, as dissimilarity has remained high in the recent democratic period, we believe that, in the absence of vertical simultaneity of elections, the Brazilian party system would likely be much more volatile and unstable. Furthermore, because Brazil is a least-likely case in which extreme multiparty system, decentralized party and electoral institutions, and low levels of party institutionalization all conspire against effective coordination, we expect such effects to be stronger in other, more favorable settings. In any case, our findings suggest that no account of party system formation in multilevel presidential systems will be adequate without an analysis of coordination across national and subnational electoral arenas and related coattail effects. Borges, André, and Ryan Lloyd. 2016. “Presidential coattails and electoral coordination in multilevel elections: Comparative lessons from Brazil.” Electoral Studies no. 46:104-114. Golder, Matt. 2006. “Presidential Coattails and Legislative Fragmentation.” American Journal of Political Science no. 50 (1):34-48. Rodden, Jonathan, and Erik Wibbels. 2011. “Dual accountability and the nationalization of party competition: Evidence from four federations.” Party Politics no. 17 (5):629-653. doi: 10.1177/1354068810376182. Samuels, David. 2003. Ambition, federalism, and legislative politics in Brazil. Cambridge: Cambridge University Press. This entry was posted in Brazil, Latin America and tagged Brazil, Presidential coattails on September 21, 2016 by Robert Elgie. On May 28, 2016, the Brazilian Minister of Defense, Raul Jungmann, gave a long interview with the Estado de São Paulo newspaper. In the long interview he barely touched upon military or defense issues, merely lauding the military’s neutrality in the current chaotic political situation. However, he did highlight an important aspect of Brazilian politics. He noted that while the Constitution of 1988 strengthened accountability institutions, naming specifically the Public Ministry, the Federal Police, and the Judiciary, politics had not changed. In his terms, politics is a hostage to itself. These observations by a seasoned politician, one who has twice served as both federal minister and federal deputy, permit us to better understand the impeachment of President Dilma Rousseff. Despite allegations by President Rousseff that she was deposed in a golpe, a coup, the process is in accord with the Constitution of 1988. This is notwithstanding the fact that many other issues have contributed to the situation, including her narrow reelection in 2014, lackluster governance, dubious economic policies, exposes of massive graft and corruption, and miserable public opinion poll rating. While President Rousseff cannot be blamed for all of these problems, she is being held to answer for at least one of the 37 charges levied against her, which is a “crime of fiscal responsibility”: fiddling with government accounts to facilitate her reelection in 2014. Scholars who study the process whereby the Constitution of 1988 was formulated and the resulting document are extremely critical. In my writing I argue that the Constitution did not represent an “elite settlement” ensuring democratic consolidation, as was the case in Spain, for example. Law professor, Keith S. Rosenn, states the following: “The process by which Brazil’s 1988 Constitution was adopted practically assured that the end product would be a hodgepodge of inconsistent and convoluted provisions.” [i] Despite the 245 articles and 70 transitional provisions, the framers were unable to resolve whether Brazil would be a monarchy or republic, and if the latter, a presidential or parliamentary system. These fundamental decisions were left for a referendum in 1993 that favored a presidential republic. The framers of the constitution, which were the 559 members of the Brazilian Congress, maintained intact both the institutional defects of the political system and the extensive prerogatives of the armed forces that governed Brazil between 1964 and 1985. Whereas the institutional defects of the political system continue until the present, since the system is, as Jungmann puts it, hostage to itself, the prerogatives of the armed forces have been diminished and the accountability institutions have become robust and active. These three processes, the diminishing of the prerogatives of the military, the vicious circle of the political system, and the emergence of strong accountability institutions are the foci of this paper. Both Rosenn and I detail the extensive prerogatives of the armed forces that resulted from the negotiated transition from military to civilian rule and the reliance of President Sarney on the armed forces during his five year tenure (1985 – 90). The most extensive work on this topic, however, is found in Alfred Stepan’s Rethinking Military Politics: Brazil and the Southern Cone where he demonstrates, by describing 11 prerogatives, that Brazil had little progressed between military and civilian rule. More recently, twenty – eight years after Stepan published his book, scholars demonstrate that the prerogatives that were mainly high when Stepan wrote are today either low or moderate. Some of the high points of the process whereby the prerogatives were diminished or eliminated include the creation of a civilian – led ministry of defense in 1999, which resulted in the decrease of military – led ministries from six to zero, and a large package of laws in 2011 which further delimited and restricted the autonomy of the armed forces. Today, the armed forces receive 1.29 % of GDP and 73% of this goes to salaries and pensions, and the political influence of the armed forces is minimal. Illustrative of the change from the military regime to the present day is the elimination of the National Information Service, (Serviço Nacional de Informações SNI), which was the intelligence arm of the military regime, by President Collor in 1990, and the creation, only after nine years, of the Brazilian Intelligence Agency (Agência Brasileira de Inteligência ABIN). ABIN is prohibited from conducting intercepts, has a minimal budget, and lacks a direct link to decision – makers. In short, the politicians had incentives to diminish the influence and roles of the armed forces, thereby increasing their own. While the Constitution of 1988 included a great many items that could lead to an improved socio – economic situation for Brazilians, it changed nothing regarding the political institutions that put those 559 politicians into the position of writing the constitution, and have made only most minimal changes in the intervening 28 years. As Rosenn states “The constituent assembly also did nothing to reform the malfunctioning of the political party system, which is one of the world’s worst.” [ii] They did not establish a minimum number of votes for a party to be recognized, resulting in the current situation with 35 political parties at the national level with 19 having deputies in the lower house, the Câmara. They did not change the open – list system of proportional representation in which each state is a single, and at – large multi – member district. They did not change the gross misrepresentation whereby all states, and the federal district, have three senators or the provision stipulating that all states, regardless of population, would have a minimum of eight and a maximum of seventy deputies. There was supposed to be a wholesale revision of the Constitution in 1993 that would require only an absolute majority of the deputies. That revision never happened. Instead, there have been piecemeal revisions. In reviewing the various initiatives to revise the constitution between 1988 and today, they amount to very little. This is the consensus view of the experts on the issue including David Fleischer, Alfredo Montero, Timothy Power, and Keith Rosenn. The Constitution of 1988 was full of contradictions. The issue of parliamentary vs. presidential form of government was never resolved, neither in the constituent assembly nor after. On the one hand the constitution gave the congress a role in approving annual budgets and allowed them to overrule presidential vetoes with absolute majorities rather than a two-thirds vote. On the other hand, it gave the presidency the exclusive right to initiate and execute annual budgets and to force 45 – day limits on the congress to review bills defined as “urgent” by the president, the power to appoint a cabinet, subject to Senate approval, and the power to issue executive decrees (medidas provisórias) which had the force of law while congress had 30 days to review the measure. Post – 1990 presidents utilized these measures, and others, to govern. Even with these gimmicks, the need to assemble a coalition, since no president since the first directly elected, President Collor, has belonged to a party with a majority in either house of congress, all presidents would have to attract the support of other parties. Brazil has one of, if not the most fractured, party system of any democracy. This form of government, commonly called coalitional presidentialism (presidencialismo de coalizão), could, and did, easily evolve into corruption. The most famous, but not the only, corruption scandal of President Luis Inácio Lula da Silva –Lula (2002 – 2010) was the “big monthly” (as in big monthly payments to members of congress to support his government’s policies in the congress), mensalão scandal. Alfred Montero has this to say on this topic. “The need to engage in vote – buying emerged from the limited options the Lula administration had for composing the same kind of legislative coalition that Cardoso enjoyed.” [iii] Several top Workers’ Party (PT) officials were implicated in this vote – buying scheme. The scandal ultimately led to the convictions of twenty-five people, including Lula’s former chief of staff, José Dirceu de Oliveira e Silva, who has more recently been sentenced to 23 years in jail in the Lava Jato corruption scheme. There are so many corruption scandals currently in play in the investigation and sentencing phases, that only the experts can keep straight the modalities of Mensalão, Lava Jato, Petrolão, Zelotes, and Operation Aequalis to mention only the biggest and most current. So far the wave of illegal, extralegal, and simply corrupt practices have resulted in the impeachment hearing of President Rousseff, the investigation of ex-President Lula, the conviction of 84 persons for crimes associated with Lava Jato, the majority of them politicians and businessmen. While not all of the crimes involve politicians, most of them do, and virtually all of them involve sources of funds, as in Petrobras, under the control of the Brazilian State, and thus of necessity involve politicians. It must be acknowledged that corruption is nothing new in Brazil. In fact, according to the late Samuel Huntington in his influential Political Order in Changing Societies corruption is seen in positive terms in the process of modernization. Huntington calls specific attention to Brazil. Further, there is a very influential article published in 1990 in the important Revista de Administração Pública of the Fundação Getúlio Vargas by Anna Maria Campos that argues in great detail why there is no concept or meaning to the term “accountability” in Portuguese. Most Brazilian and foreign authors refer to the Brazilian propensity to use “angles” or “gimmicks”, jeitinhos, to get around laws. Or, as was said in positive terms of a mayor of São Paulo, he robs but he accomplishes things. Rouba mas faz. And, in line with Jungmann’s observations above, while politics has not changed, including the use of corruption to govern, what is now permissible in politics and business in general in Brazil is changing. There is no single cause for the change, and I have identified at least five. First, the 1988 Constitution created, or recreated, a large spectrum of oversight and investigation mechanisms, and these have been expanded in number during the intervening 28 years. Today they include the Comptroller General, the Accounting Tribunal, the Federal Police, the Public Ministry, and the courts. There is a huge literature on these institutions in both Portuguese and English, and the approach that I find most convincing to explain their increasing influence, culminating in the current wave of imprisonments, is that of Sérgio Praça and Matthew M. Taylor who demonstrate that the capacity of these institutions increases not by a single event or factor, but through bureaucratic interaction. The capacity increase is contingent and interactive. In short, these oversight, investigatory, and punishment institutions can only be understood in a specific national and international context, which is why I include the following four factors. Second, whereas in the past, the main weakness of the accountability mechanisms was the inability or unwillingness of the courts, and especially the Supreme Court, to process and convict individuals, today this is changing due to personalities and the gradual modification of processes similar to those noted in the prior paragraph. This change is best highlighted by the actions of Judge Sérgio Moro of Curitiba who has taken the lead in the Lava Jato scandal. He is extremely active not only in pursuing corruption, but also in writing on the importance of plea – bargaining and the Italian experience in countering the mafia. Third, much of the momentum to impeach President Rousseff is related to allegation of corruption involving the Workers’ Party, and was established by the information provided by Senator Delcídio do Amaral, who was the leader of the party in the Senate. He was arrested, and due to plea – bargaining (delação premiada) he provided information on the spread of corruption throughout the Brazilian government. Those familiar with criminal law in the United States are aware that plea – bargaining is probably the single most important mechanism for gathering evidence on white – collar crime. Plea- bargaining was established in Brazil only in 2013 with law 12,850/2013. I have been informed by lawyers involved in the introduction of plea – bargaining that it was one of several laws that were required for Brazil to reach OECD standards. Since June 2015 there was a Co-Operation Agreement in place between Brazil and the OECD, which has been followed by an OECD-Brazil Programme of Work. Fourth, Brazil’s population of over 200 million is increasingly invested in the system. An important indicator of this vesting is their paying taxes. According to one source, in 2013 over 50% of those who declared income, paid income tax, whereas a decade earlier only 36% paid income tax. [iv] Just as important, according to data analyzed by the Instituto Brasileiro de Planejamento e Tributação, of the thirty countries where taxes are the highest, Brazil is the worst in terms of return to the population in investments in the quality of life. 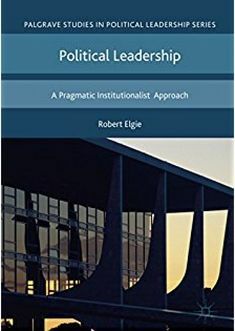 In sum, traditional politics, in which the lubricant is public funds, has now encountered a wide spectrum of accountability mechanisms, supported by processes and attitudes, which no longer tolerate the traditional lackadaisical approach to ethics in politics. While the incentives to reform politics are not as obvious as they were to assert control over the armed forces and intelligence services, they are nevertheless present in the expectations of the Brazilian population and international organizations. Bruneau, Thomas (1992) “ Brazil’s political transition,” in John Higley and Richard Gunther, eds., Elites and Democratic Consolidation in Latin America and Southern Europe (Cambridge: Cambridge University Press, 1992), pp. 257 – 281. Bruneau, Thomas C. and Scott D. Tollefson (2014) “Civil – Military Relations in Brazil: A Reassessment,” Journal of Politics in Latin America, pp. 107 – 138. Bruneau, Thomas C. (2015) “Intelligence Reform in Brazil: A Long, Drawn – Out Process,” International Journal of Intelligence and CounterIntelligence, pp. 502 – 519. Campos, Anna Maria (1990) “Accountability: Quando Poderemos Traduzi-La Para O Português?” Revista de Administração Pública, pp. 30 – 50. Couto, Cláudio G. and Rogério B. Arantes, (2008) “Constitution, Government and Democracy in Brazil,” World Political Science Review, pp. 1 – 33. Fleischer, David (2016) “Attempts at Political Reform: (1985 – 2015): Still a ‘Never Ending Story’” Paper Presented at BRASA Conference, Brown University, March 31 – April 2, 2016. Instituto Brasileiro de Planejamento e Tributação “Estudo sobre a Carga Tributária/PIB X IDH Maio 2015. Available at www.idpt.com.br Accessed May 30, 2016. Power Timothy J. and Matthew M. Taylor, eds. (2011) Corruption and Democracy in Brazil: The Struggle for Accountability (Notre Dame, Indiana: University of Notre Dame Press, 2011). Power, Timothy J. (2010) “Brazilian Democracy as a Late Bloomer: Reevaluating the Regime in the Cardoso – Lula Era,” Latin American Research Review, pp. 218 – 247. Praça Sérgio and Matthew M. Taylor, (2014) “Inching Toward Accountability: The Evolution of Brazil’s Anticorruption Institutions, 1985 – 2010,” Latin American Politics and Society, pp. 28 – 48. Rosenn, Keith S. (2010) “Conflict Resolution and Constitutionalism: The Making of the Brazilian Constitution of 1988,” in Laurel E. Miller, editor, with Louis Aucoin, Framing the State in Times of Transition: Case Studies in Constitution Making (Washington, D.C.: United States Institute of Peace, 2010). Rosenn, Keith S. (2014) “Recent Important Decisions by the Brazilian Supreme Court, Inter-American Law Review, pp. 297 – 334. Stepan, Alfred (1988) Rethinking Military Politics: Brazil and the Southern Cone (Princeton: Princeton University Press, 1988). [i] Keith S. Rosenn, 2010, “Conflict Resolution and Constitutionalism: The Making of the Brazilian Constitution of 1988,” in Laurel E. Miller, editor, with Louis Aucoin Framing the State in Times of Transition: Case Studies in Constitution Making (Washington, D.C. United States Institute of Peace, 2010), p. 458. [iv] Pulsamérica available at http://www.pulsamerica.co.uk/2013/02/25/brazil-over-12-million-currently=pay-income-tax/ accessed June 2, 2016. [v] ComScore & Shareablee (2015) “The State of Social in Brazil” available at https://www.comscore.com Accessed June 2, 2016. Thomas Bruneau is Distinguished Professor Emeritus of National Security Affairs at the Naval Postgraduate School. He joined the Department in 1987 after having taught in the Department of Political Science at McGill University. Dr. Bruneau became Chairman of the Department in 1989, and continued in that position until 1995. He became Director of the Center for Civil Military Relations in November 2000, a position he held until December 2004. He left U.S. Government service in early 2013. He has six recently published books. He is co-editor, of Who Guards the Guardians and How: Democratic Civil – Military Relations (Austin: University of Texas Press, 2006). His second book, also published by University of Texas Press, with CDR Steve Boraz, is Reforming Intelligence: Obstacles to Democratic Control and Effectiveness. His third co-edited book, with Harold Trinkunas, Global Politics of Defense Reform, was published by Palgrave – Macmillan in February 2008. His single authored book, Patriots for Profit: Contractors and the Military in U.S. National Security was published by Stanford University Press in mid-2011. His co-edited book, with Lucia Dammert and Elizabeth Skinner, Maras: Gang Violence and Security in Central America was published by the University of Texas Press in late 2011. His last co-edited book, with Cris Matei, The Routledge Handbook of Civil-Military Relations was published by Routledge in London in late-2012. He writes the annual report on Portugal for the Bertelsmann Foundation Sustainable Governance Indicators publication. His two most recent scholarly publications are “Impediments to Fighting the Islamic State: Private Contractors and US Strategy,” Journal of Strategic Studies 2015 and “Intelligence Reform in Brazil: A Long, Drawn-Out Process,” International Journal of Intelligence andCounterIntelligence Fall 2015. Between 1998 and 2001 he served as rapporteur of the Defense Policy Board that provides the Secretary of Defense and his staff with independent advice on questions of national security and defense policy. This entry was posted in Brazil, Latin America and tagged Brazil, Impeachment, president on June 17, 2016 by Robert Elgie. Magna Inácio – Collapse of Brazilian coalitional presidentialism? Twenty-four years after the impeachment of the first elected president since redemocratization, Collor, a new trial has suspended the current president, Dilma, from her powerful seat as the senate votes whether or not to impeach her. Two events of this magnitude, in six presidential mandates, have called into question the capacity of Brazilian presidentialism to maintain stable governments. Further, they have rekindled interest in the adoption of semipresidencialism or parliamentarism. Brazilian presidents build coalitions and govern through them. Scholars have seen this as a cooperative solution to legislative-executive relations that might mitigate the risks of legislative gridlocks and democratic breakdowns. Since ongoing political crisis challenges this view, it is inevitable to ask: is it a crisis of coalitional presidentialism in Brazil? Alternatively, is it a crisis of a coalition and the president’s failures in its management? The current crisis seems to describe the typical scenario of those crises that magnify the rigidity of a system without exhaust valves for inter-branch conflicts: an unpopular and recalcitrant president and decisional paralysis spasms provoked by greater activism of the legislative parties. After a hard-won victory, Dilma pushed the government into the crossfire of the opposition and discontented supporters. Diverging from her electoral platform, which was based on redistributive policies, a different economic outlook was revealed when a fiscal adjustment program and deep budgetary cutbacks were adopted in the first days of her second term. Two years after reaching a record presidential approval rating (65%), in her first term, Dilma’s popularity fell to the lowest level (8%) achieved by any recent presidents. Cross-pressured by these ambiguous signals, her legislative majority has become increasingly hostile and volatile. The conflicts within the coalition deepened, feeding the opposition’s attractiveness and political polarization in the legislative arena and on the streets. The legislative gridlocks and intense opposition, exacerbated by the Chamber of Deputies’ Speaker and member of the major coalition partner, made the fracture of the legislative cartel, led by the president, very obvious. Corruption scandals and a massive investigation (“Operation Car Wash”) touched important leaders of the president’s party, including former president Lula as well as other coalition partners, and deepened these conflicts as uncertainty about the future of government spread. Why did these political conflicts evolve into an impeachment trial? Some scholars have identified the impeachment events as a heterodox political solution to the lack of exhaust valves in the presidentialism. Recent literature has pointed to the new political instability in Latin America at the government level, but not at the regime level (Pérez Liñan, 2007). Given the fragility of horizontal controls to constrain, ex-ante, the abuse of presidential powers, impeachment could work as a mechanism, ex-post, to interrupt it. In this, context matters. According to Carlin et al. (2015, 2016), such breakdowns reveal a conditional accountability: presidential unpopularity and scandals can feed protests, but they will be decisive in the collapse of governments when economic insecurities magnify political uncertainties. From this perspective, the corruption scandals became decisive to Dilma’s impeachment trial because they occurred simultaneously with the disastrous economic performance of government: high inflation (10%), high unemployment rates (11%), and negative GDP growth in the last year (-3.80%). External shocks are relevant factors, but I consider that the effects of the scandals, plummeting popularity and declining economic outlook on the collapse of the government are all dependent on the lack of coalition management ability of the presidency. Powerful Brazilian presidentialism is strong, and not only because the president relies on a broad array of institutional powers. Its strength is variable: it depends on the coordinating ability of the presidency to use these resources in the management of the coalition and, jointly with legislative parties, to pave the way for sustainable governance. However, it should be noted that, although coalitional presidentialism is a recurrent practice in Brazil, there is a lack of institutional mechanisms of coalition leadership or a collective decision-making committee, as a coalition or party summit. Therefore, cabinet governance strongly depends on presidents’ strategies and abilities to manage their multiparty alliance. In a fragmented party system, the profile of coalition makes its management cost variable. Brazilian presidents count on a diverse toolbox for dealing with these costs (Raile et al., 2011). This includes legislative agenda powers, ministerial positions, budget, etc. In addition to the distribution of these resources, whether with partisan bias or not, the model of coalition governance also varies according to the degree of centralization of decision-making in the hands of the presidency and its staff (Inácio & Llanos, 2014). Although presidential powers have remained relatively stable since redemocratization, the performance of the presidencies on cabinet coordination varies considerably. Only when the president´s coordinating capacity declined below a critical threshold did the impeachment take place. Thus, the collapse of government seems to require both endogenous and exogenous factors, affecting the process of government. Then, impeachment is not inevitable. Since 1986, Brazilian presidents have faced severe economic crises, presidential popularity has remained at oscillating and moderate levels, and scandals have been frequent. The most stable periods of coalition governance in Brazil correspond to power-sharing cabinet-presidency relations. The governments of Itamar (successor to Collor), Cardoso and Lula coordinated their coalitions in such a way as to internalize management costs and the processing of conflicts behind the closed doors of the executive. Cardoso and Lula faced serious crises that weakened the operational ability of the coalitions to sustain government decisions. However, both presidents managed their resources to surmount these crises through cabinet reshuffling, centralization, pork goods, policy concessions, and administrative strategies to keep tabs on their partners and keep them together, in order to avoid a single-party cabinet or the collapse of the government as reversion outcomes. The financial and energy crises in Cardoso’s second term led him to make concessions on high-priority policy agendas and to give more attention to clientelistic demands from his allies. With less presidential leverage, the president dealt with these constraints and postponed the reversion outcome. It effectively occurred with the rupture of his coalition, opening space for PSDB’s electoral defeat on his succession. Halfway through his first term, Lula faced a profound crisis with the “mensalão” scandal in 2005. Legislative threats to begin impeachment proceedings and declining popularity put Lula’s re-election at risk. However, the president handled these risks through cabinet reshuffling (three times in a semester), redesign of the hypertrophied presidential office (and reduction of the partisan bias favoring PT) and sharing the management of legislative-executive relations with coalition partners. After distancing himself from those PT members involved in the mensalão scandal, Lula assumed a more active role for himself in both cabinet coordination and the mobilization of his supporters. Differently, presidents Collor and Dilma demonstrated clear limits in the coordination of their cabinets, endogenously fostering the escalation of interbranch and intracoalition conflicts. They both resorted to a model of centralized cabinet governance, restricting interparty and interbranch negotiations. It made them more vulnerable to political crises, particularly when allegations of corruption and the “crime of responsibility” opened space for impeachment trials. Governing unilaterally from a minority and single-party cabinet, headed by a centralized presidency, Collor implemented a radical economic reform agenda. The unpopular policies and their distributive costs quickly pushed the legislative parties into the arms of discontented voters and economic groups. After revelations of Collor’s involvement in a corruption scheme, the dissatisfied congress impeached him quickly and almost unanimously. Dilma’s first term was relatively stable throughout the first three years. However, legislative-executive relations were continuously tense. Although the ruling coalition has been the same as that of Lula’s administrations, these tensions deepened with the centralized decision-making process headed by Dilma, particularly in the economic area. The “new matrix” of economic policies pursued by the government, based on continued expanding credit and government spending, reinforced criticisms about the insulated decision-making process. When the first signs of the failure of her economic policies and the new constraints from global economy were made clear, the administration strongly resisted changing the route on the eve of the president seeking re-election. As a candidate, Dilma rejected the need for this policy shift in her campaign and condemned her opponents’ proposals about this agenda. This strategy had high reputational costs for Dilma, when she pursued did it after her re-election. The president did not explain to the voters the reasons for this turning point, nor did she open negotiations with those sectors and groups affected by these policies. The delay of this policy shift reduced the leeway for policy-makers to implement reforms in a context of economic stagnation, fiscal deficit and low government credibility. Facing a more fragmented and polarized Congress, Dilma did not receive legislative support for her economic and fiscal reforms after reelection. Even the leaders of cabinet parties walked away from the executive agenda, revealing a real minority from this centrifugal dynamic. At this juncture, the corruption scandals, low approval ratings and economic stagnation pushed the political crisis to a point of no return. Could it be avoided? Maybe we have to pay more attention to the management of the coalition, beyond the use of the presidential toolbox. It could mitigate the effects of exogenous shocks on the president’s fate. It could allows the president not only to foster cooperation in good times, but also to overcome political crises by widening their choices in bad times. But this management must not depend only the president’s wisdom. It must be a by-product of institutional, power-sharing mechanisms that support coalition leadership. Such strong dependency on presidential leadership is, maybe, a risk-taking feature of Brazilian presidentialism. Exhaust valves are important during extreme crises, but there is still room for institutional innovations that fill the gap between presidential and coalition leadership. CARLIN, Ryan E.; LOVE, Gregory J.; MARTÍNEZ-GALLARDO, Cecilia. 2015. “Cushioning the Fall: Scandals, Economic Conditions, and Executive Approval.” Political Behavior, 37(1):109-130. PÉREZ-LIÑÁN, Aníbal. 2007. Presidential Impeachment and the New Political Instability in Latin America. Cambridge: Cambridge University Press. RAILE, Eric D.; PEREIRA, Carlos; POWER, Timothy J. 2011. “The Executive Toolbox: Building Legislative Support in a Multiparty Presidential Regime.” Political Research Quarterly 64 (2): 323- 34. These policies undermined the confidence of the private sector in the government, as it was seen as deepening state interventionism and departing from the policies of fiscal responsibility, inflation targeting and a floating exchange rate pursued by Cardoso and Lula. Dilma is accused of the “crime of responsibility” for allegedly having violated budgetary laws by illegally covering budget shortfalls. This entry was posted in Brazil, Latin America and tagged Brazil, Dilma Rousseff, Impeachment on May 17, 2016 by David Doyle.